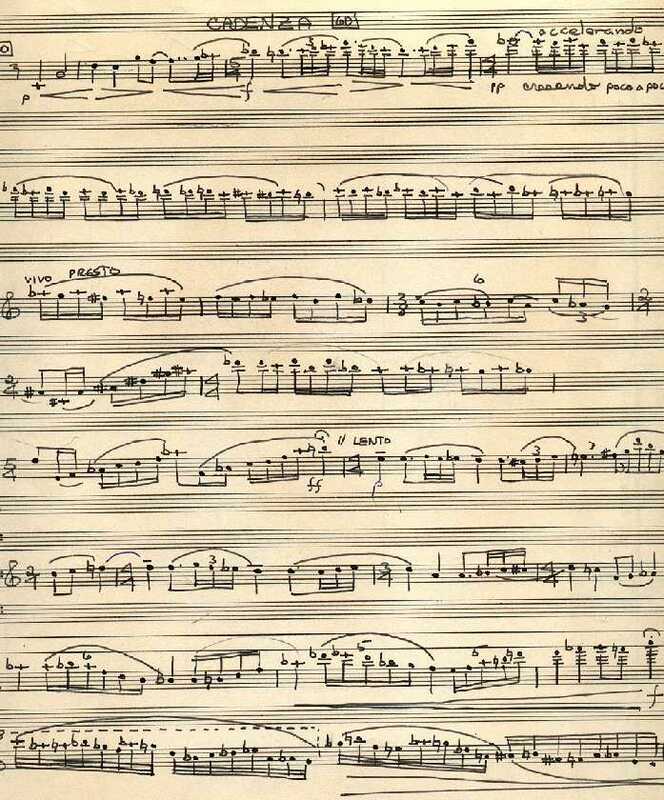 This is just the unaccompanied cadenza section from Study in Violet for solo flute and chamber orchestra, completed July 21, 1961. At the time I was still young enough to be enamored with virtuosic cadenzas of the type normally associated with classical concertos. Today I believe they generally make no musical sense whatever in the context of most modern music. In high school, writing a cadenza seemed like an easy way to make an orchestral piece longer, because I only had to write for one instrument. Having said that, I still rather liked this piece at the time. And the flutist I wrote it for assured me that although it was difficult, she was very much up to the task of playing it, and I do believe she was. I was always disappointed that I never got to hear it.